Apps4Review.com | iFile-Manager Your Files On the Go! If you own an iPhone, then you must know how difficult it is to manage files on the system. There are so many documents and files that one just cannot manage them all properly. There are times when you want a particular file but you can’t remember the name and the location. It is then that you dream of an app like Finder for Mac to help you manage all your files with ease and in a well sorted way. Well, while there doesn’t seem any plan by Apple to introduce any such software in the near future, why don’t you switch yourself to iFile to enjoy the same expected services right now! 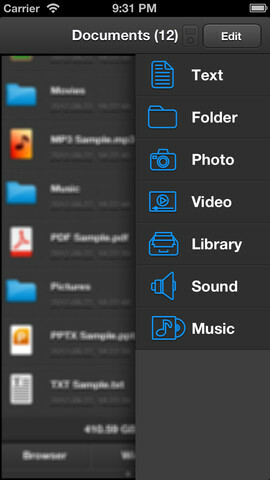 The iFile app we are talking about has been developed by Darkness Production for iPhone, iPod touch and iPad users. 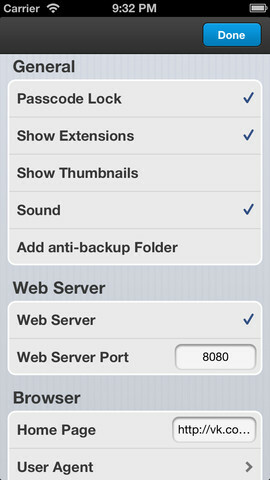 The app requires iOS 5.0 or later version and is compatible with iPhone 5 as well. It is a multifunctional file manager that deals with almost all types of files including text, audio, and video and boasts an inbuilt player and browser as well. You can perform any task related with files on your system and also sort them in a well arranged manner. iFile allows you to read documents in any format word, PPT, text, PDF, etc. With inbuilt PDF reader, you can bookmark pages, view thumbnails, print and mail them as well. Also, you can share your documents on cloud services like Dropbox, iCloud, etc. But it’s not just sharing rather you can transfer the files over Wi-Fi, Bluetooth with just a tap. Moreover, you can transfer files to your computer and iPod via iTunes using a USB cable connector. Editing your documents and sorting them is super easy. Whether it is to copy/paste the complete folder or creating a new Zipped folder, it is just a matter of seconds. Also, there is inbuilt browser which not only allows you to surf for the content on the web but also download it with background multi-tasking ability. So, just download the file and open it with any of the many applications that are supported by the app. The user interface is clean and intuitive. You can easily edit different folders, add new ones or send files with just a touch. Navigation is very fast and sorting is smartly done. The app covers each and every aspect related to your system and sets you free from the entire burden. 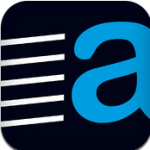 The app is available for $1.99 in the App Store and is a fair price for the worth you are getting. 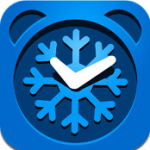 However, there is an app by the similar name from Cydia and is available for $4. But remember, it is not an official iOS app and requires your iOS device to be jail broken before installation i.e. your device must be unlocked for third party apps. So, take proper care to avoid any confusion before downloading this app.